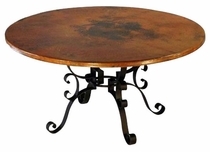 Our rustic iron and hammered copper top dining tables will create instant visual appeal in your home. 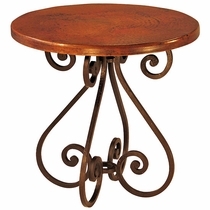 The warmth and beauty of these unique copper dining tables comes alive with the handcrafted nature of each piece. 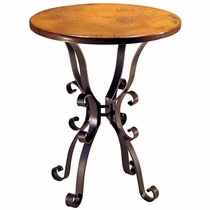 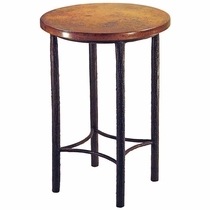 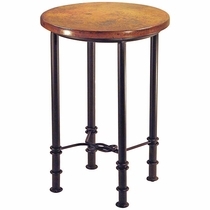 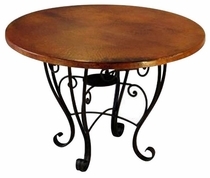 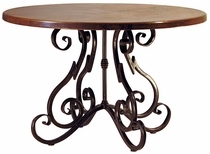 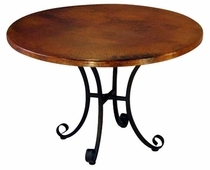 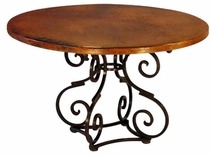 Whether you choose a wrought iron base or rustic wood, the designs of these tables will fit many home decor styles including, southwest, Tuscan, Santa fe and hacienda ranch. 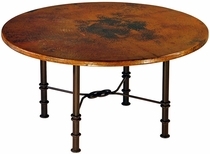 The combination of rustic old wood with a hammered copper top creates a warm and inviting atmosphere. 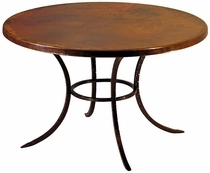 These dining tables are authentic Mexican creations handmade with care in Mexico. 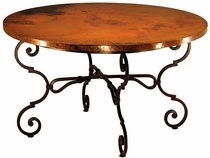 See copper buffets and hutches here. 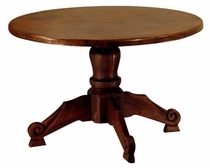 30" Dia. 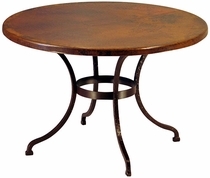 or 54" Dia.